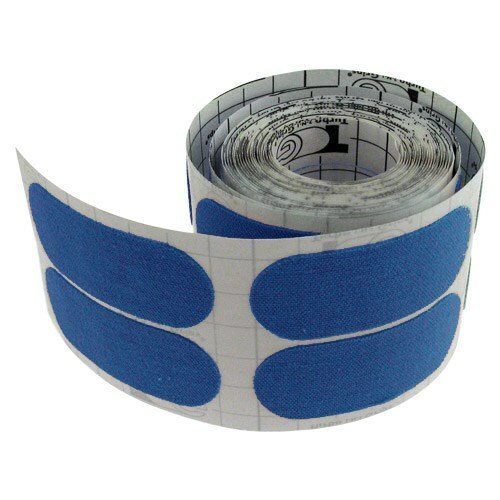 The perfect compliment to our line of Skin Protection and Fitting (SPF) Tapes. Made from a smooth polyester fabric, this vibrant blue SPF tape is thinner than our popular cotton fitting tapes and has plenty of stretch. It is recommended as a release agent or replacement for messy powder. It's a great sum release product works well and stays on your thumb until you are done boiling. Hey Rick! The dimensions of the tape is 1 inch by 2 inches. Is this the Smoothest release tape you have ? Yes, this is one of the smoothest release tapes that we have. Due to the time it takes to produce the Turbo Quick Release 1" Patch Tape 100/Roll ball it will ship in immediately. We cannot ship this ball outside the United States.